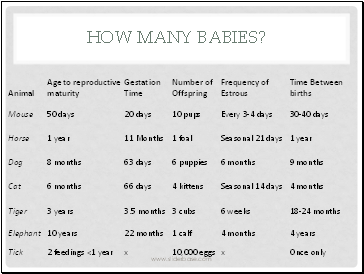 Babies are born alive but not fully developed. 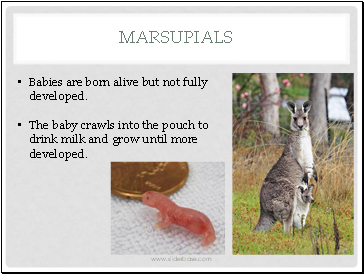 The baby crawls into the pouch to drink milk and grow until more developed. 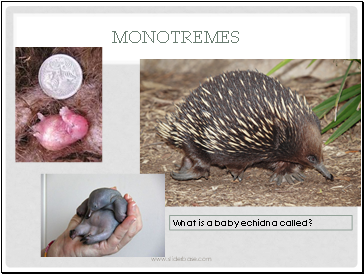 What is a baby echidna called? 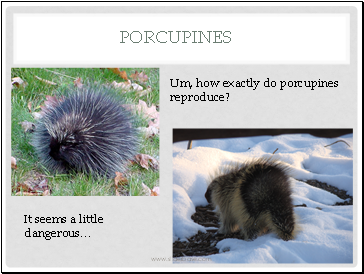 Um, how exactly do porcupines reproduce? 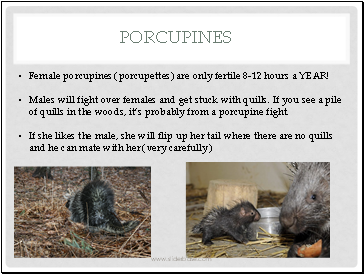 Female porcupines (porcupettes) are only fertile 8-12 hours a YEAR! Males will fight over females and get stuck with quills. If you see a pile of quills in the woods, it’s probably from a porcupine fight. 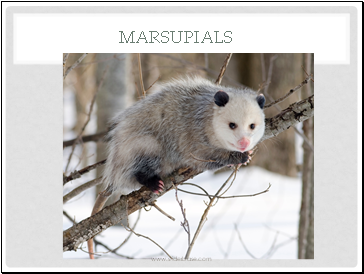 If she likes the male, she will flip up her tail where there are no quills and he can mate with her (very carefully). 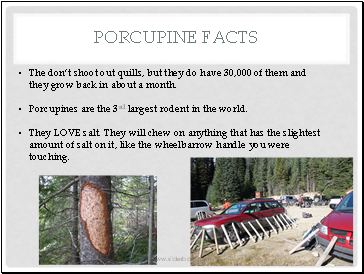 The don’t shoot out quills, but they do have 30,000 of them and they grow back in about a month. Porcupines are the 3rd largest rodent in the world. They LOVE salt. They will chew on anything that has the slightest amount of salt on it, like the wheelbarrow handle you were touching. 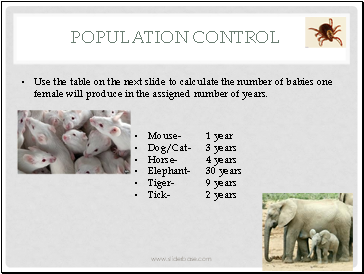 Use the table on the next slide to calculate the number of babies one female will produce in the assigned number of years. 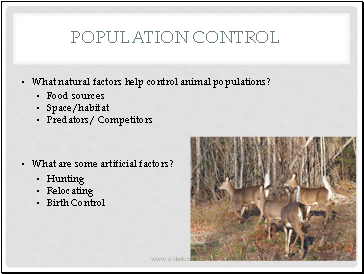 What natural factors help control animal populations? 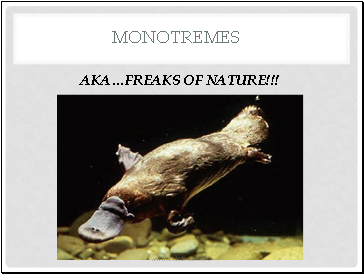 What are some artificial factors? 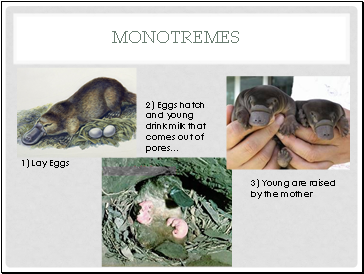 What does limiting factor mean? 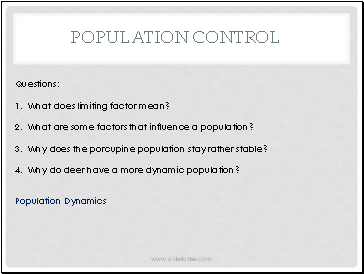 What are some factors that influence a population?